School tours not only increase the students’ learning experience outside of the traditional classroom setting but they also complement the curriculum and the classroom-based subjects that students have been learning. It allows students to face new and exciting challenges outside their normal routine and enriches their long term interests and new possibilities in the future. School trips can be the catalyst in provoking interest in new topics and gaining new ideas and concepts that kids have never been exposed to before. From Junior Infants upwards, there are various school trips to go on that allow children to be exposed to so many enthralling things that just can't be taught in a classroom. Trips can enable students to visit different places, from viewing precious artefacts, hearing magnificent music played by an orchestra, venturing in the outdoors, creating love and empathy of the natural world and more. Theoretical to practical, these trips create an indelible experiences that they will look back on in the future. Many of the more traditional tour destinations, such as museums and galleries, are nowadays becoming more interactive, providing a hands-on, child-friendly experience for their young visitors. Newer destinations such as theme parks, outdoor and indoor adventure centres, petting farms and sports complexes are also providing an educational dimension to a fun day out and making learning an integral part of the experience. So many positive benefits accrue from teachers and students taking a trip together – not only does it provide the opportunity to take a break from their normal classroom routine but it also gives children the chance to have a fun, educational and bonding experience through these expeditions. Now is the time of year to start planning these all-important trips! AquaZone at The National Aquatic Centre, Dublin, is one of the biggest, most exciting and popular attractions for families, groups and school tours in Ireland. Since 2004 the centre has seen almost 12 million people pass through its doors. The National Aquatic Centre is Ireland’s fourth-most popular visitor attraction. The Leisure Pool, AquaZone, offers wild thrills, crazy water adventures and loads of fun. On this School Tour try the famous Surf Rider Surf Machine. Other Rides include: Master Blaster (water roller coaster), Wave Pool, Lazy River, Bubble Pool, Pirates Ship (for the little ones), Dark Hole Flume (water slide) and the Green Giant Flume. It’s the best and most exciting Leisure Pool in Ireland. AquaZone is an ideal destination for a school trip, offering special group rates, a food option (saves stopping on the way home! ), a pre-reserved bookings system, huge bus parking facilities, full accessibility facilities, Rumbles Restaurant and a picnic area. Also, as part of the entrance fee, children can swim in Ireland’s National Swimming Pool, an Olympic Swimming area featuring the 50-metre International Competition Pool, Ireland’s biggest. It’s the perfect Family day out, open every weekend and all school holidays! Phone 01 6464300, visit www.aquazone.ie. The Sport Ireland National Sports Campus is the home of Irish Sport and this unique school tour provides all pupils with a chance to live a day in the life of a top class elite sports star! Last year’s inaugural NSC Experience completely SOLD OUT so extra slots have been added for 2019. There’s a full day tour or a budget short day tour, combining an unforgettable sporting experience with educational and amazing fun. CP Adventure are very excited to announce their new Home in RUSSBOROUGH HOUSE & PARKLANDS where they have built a brand-new adventure centre which is located only 20 minutes from Dublin. The centre will have a Zip Line over 100 metres long, Ropes Course, Tree Climbing, Abseiling, Archery Tag & Target, Bushcraft, Kayaking, Climbing Tower Canoeing, 12-man War Canoes, Orienteering, Biking, Bungee Trampolines and much more, all set on the grounds behind the majestic Russborough House. With over 26 years’ experience looking after School groups in The Avon Ri it is the same Team just in a different and exciting new location. Added extras available are Guided Tour of Russborough House, National Birds of Prey Centre, local artisans and fantastic walk ways around Parklands. CP Adventure strive to make the students day both a fun and educational one though more emphasis is on the Fun part. Full day’s activities are run from 10-4 p.m. and will include 5 activities both land and water Half day runs from 10-1.00 or 2-5 p.m. to include 3 activities. Packed lunch is required on days of school tours alternatively we can organise hot healthy options. Inflata Zone is the perfect place for school tours, youth groups, scouts, clubs, teams, etc who are interested in an experience like no other. If an outing with a difference is what you’re after then look no further than Inflata Zone. One of the first in the world, and Ireland’s only inflatable theme park has now opened! Inspired by the party craze that’s starting to take the world by storm, Inflata Zone, a state of the art €750,000 facility has now opened in Dublin. With 10 different zones including drop slides, assault course, climbing wall, air mountain and much more..
Guaranteed a hit with all students. Call 01 9633044 for more details. When you book your group they will allocate hosts who look after you from start to finish. Looking for your next school tour venue????? Jump Zone is Ireland’s First and Europe’s Largest Indoor Trampoline Park. Located in both Sandyford and Santry, this Irish owned Jump Zone has fast become one of the country’s most popular sports and entertainment attractions having catered for more than 900,000 visitors to date! Led by a team of top trampolining athletes, Jump Zone specialises in school tours for kids 5+ years of age looking for a fun and new way of keeping active. Groups can enjoy individual open jumping on the 10,000sq.ft. main trampoline court, and practicing new skills in the foam pit. Fight to the end in the Battle Zone, Slam Dunk on their Basketball lanes or high energy trampoline Dodgeball games. Now introducing Irelands newest Ninja Zone to each facility. The courts are carefully designed to create a healthy and enjoyable experience for all jumpers. When you book, party hosts will be allocated who will run mini Dodgeball competitions, interactive games, foam pit access and provide refreshments. On arrival, the dedicated staff will lead the group down to the induction area where a safety video is shown and the rules are given. Large groups are then divided into smaller groups and led out to the courts where the fun really begins! Zipit Forest Adventures is a treetop high ropes course set in the beautiful Coillte forests of Tibradden Wood, Dublin 16 (only 10 mins from M50) . A place where students can enjoy an exhilarating and challenging outdoor activity in a natural setting, building confidence, teamwork and self-esteem. Swing into cargo nets, whizz down ziplines, trek across a floating bridge and be immersed in stunning countryside. Big challenges or baby steps, energetic instructors will encourage and motivate even the most nervous student, creating a lasting sense of achievement. With circuits for every fitness level, Zipit provides a school tour that everyone enjoys! Teachers need to enjoy their day too and what better way to bond with your students, than participating alongside them – or watch from terra firma! Free participation and free tea and coffee for all teachers. Cost is €15 per primary school student (3rdclass upwards) with activities lasting for approximately 4 hours. Zipit can take up to 150+ students in any one day, by staggering start times. With parallel Safety briefings, they ensure a streamlined day and also cater for small schools and classes, with no minimum numbers, subject to availability. Everyday life is full of risks and challenges and we provide students of all ages the opportunity to experience perceived risk in a controlled environment. Zipit safety harnesses are designed with a dual safety element, eliminating the risk of accidental removal of both safety devices while on the course. Students are fitted with a harness by a trained Instructor and given a safety briefing before moving at their own pace. Astropark School Tours are a fantastic action packed day out for schools and classes of all ages. With a combination of unique fun experiences, the kids will have an absolute ball – bouncing, rolling, laughing, shooting and tumbling. With flexible supervised packages from only €12 per child, your school can spend the full day on site, or combine with other Dublin tour venues. Your tour activities will vary depending on the age of the kids and the duration of school tour that you wish to do. Minimum numbers of 24 apply for school tours but there are options for smaller groups. Kids typically bring a packed lunch, but hot food options are also available, ordered in advance (sausage or nuggets with chips & cordial drink). All activities are also suitable for teenagers and even fun adults, so no excuse for teachers not to join in! For an awesome school trip for kids of all ages, contact Astropark today. The Round Tower Exhibit is suitable for all ages, the interactive multimedia exhibition tells the story of over 1,000 years of Clondalkin’s history and heritage. The exhibition delves into Clondalkin’s medieval origins from the foundation of St Crónán Mo-Chua’s monastery to revealing intriguing clues to the town’s Viking past. There is lots to see and do, touch and feel, including an exciting multiscreen animated film experience where visitors can experience a whirlwind tower’s-eye view of the dramatic and colorful history of Clondalkin. Discover what life was like in Clondalkin during the 1800s, when the visitor centre buildings were originally constructed. Find out what makes the round towers of Ireland unique, and have your say about what you think makes them so special. Have a go at building your own round tower, dress up in costume and imagine what Clondalkin was like in days gone by. Education at Dublinia, one of Ireland’s top school attractions, involves the learning, research and sharing of information on Dublin City’s Viking, Medieval, and Archaeological history.There are a wide range of learning facilities at Dublinia for all primary and secondary schools. The authentically costumed guided tours are age and ability specific to ensure classes get an individually tailored educational experience based on teachers’ learning goals whilst also paying particular attention to areas relevant to the curriculum.With many resources for teachers including Learning Packs, students can learn in a multisensory and unique way. This encourages all students to engage with the exhibitions in Dublinia and also gain both analytical and social skills. They also have an exciting online learning programme for primary schools. Dublin’s Viking and Medieval history is brought to life in schools and classrooms through online learning on an audio-visual interactive website. It includes animated videos, an interactive animated map of Dublin and multiple choice quizzes. This ground-breaking learning experience is an invaluable resource for the teaching of history in Ireland. This online learning platform will be accessible from Dublinia’s website. Take advantage of their FREE Schools Programme and bring your class to visit Ireland’s largest Cathedral and one of the most important pilgrimage sites in Ireland. Saint Patrick’s Cathedral has been at the heart of Dublin and Ireland’s history and culture for 800 years. Book your visit to explore its story, which can also be seen as a microcosm of the story of Ireland itself. It is a superb example of medieval gothic architecture that has withstood wars, revolutions and reformations. Whether your interest lies in religion, history, art, architecture or music you will find something to interest you in the Cathedral. Free Workshop: After their tour, your group can take part in an interactive activity based around the life and history of the Cathedral. The award-winning all weather guided tour of the oldest part of Ireland’s oldest city, the ‘Epic Tour of the Viking Triangle’, is an interactive fun guided tour of the Viking Triangle, taking in six national monuments within one hour. The larger-than-life guide speeds you through the streets and through 1100 years of Waterford's history from the Vikings to Victorians! Discover Reginald’s Tower, Greyfriars Medieval Franciscan friary, Choristers’ Hall, the Mayor’s Wine Vault, Bishop’s Palace, and (if a church service is not in progress) Christ Church Cathedral is also included. It’s a fun, engaging tour with many props to engage and entertain children, and numerous photo opportunities along the way. Don’t miss the ‘Mayors through the Ages, Eight Centuries of Civic Government in Ireland’ at City Hall. Why visit Glasnevin Cemetery Museum? Cross curricular tours tailor made to match the interests of your class! All school groups that book with Glasnevin Cemetery Museum are sent learning packs and classroom activities for use in the classroom before or after their visit. Students also obtain access to Glasnevin’s unique genealogy records. This allows students to work as a historian at home or in the class. Bring your class to the National Wax Museum Plus, one of Dublin's most exciting visitors attractions for some educational fun and learning about Irish Culture. Learn through wax figures, interactive sets and a whole host of activities. With a variety of experiences from the areas of Science, Irish History, music and entertainment, it will appeal to students of all ages and interests. Take an educational walk through the Time Vaults of Irish History and learn about the beginning of the historical civil war of 1919, this exhibition features Michael Collins, Countess Markievicz and more. Albert Einstein's waxwork is ready to welcome schools to the Science & Discovery Area where the term. 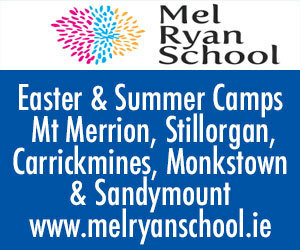 Primary school groups are €7.50 each & Post Primary are €8.50 each with Teachers free. The Museum always invites teachers to visit in advance of making a booking as a planning and resource tool. Bricks 4 Kidz school tours are held in their Creativity Centre in the OMNI Shopping Centre, Santry providing fun and educational school tours for students from junior infants up to sixth class. School Tour Package includes: Exclusive access to their LEGO® creativity centre for up to two & a half hours Students will create a LEGO® Technic Motorised Models using their Bricks 4 Kidz project kits. They will also build fun 2D & 3D LEGO models at the Brick Build Zone incl. Minecraft, Batman, etc and will test and re-test their models at our Build & Test Track. Students are divided into groups and rotated through the various Bricks 4 Kidz stations to ensure every student gets to experience the entire range of activities on offer. With three stations at the creativity centre, the imagination zone, the build and test zone and the creative zone, Bricks 4 Kidz tutors will support the children at each station to encourage fun and learning. Bricks 4 Kidz have a LEGO® lounge for teachers with complimentary tea/coffee and scones and free Wi-Fi access. For further details, contact John at johnhartnett@bricks4kidz.com or call 086-1788554. Imaginosity is the perfect place for a school visit this school tour season. Each of the 18 interactive exhibits within the museum have been designed to complement the curriculum bringing it to life in a fun, engaging, interactive, learning environment. An accredited Discover Centre, all programming at Imaginosity reinforces their commitment to education and learning. Educational workshops are on offer as part of School Tours year round (excluding May & June). Visiting Times: Monday – Friday 9.30-11.30am, 11.30am-1.30pm (afternoon visits are also available 1.30pm-3.30pm or 3.30pm-5.30pm). 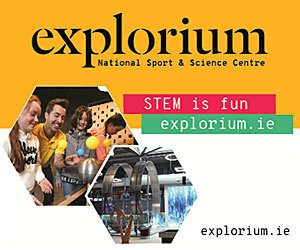 To book your visit please call 01-2176130 or visit www.imaginosity.ie for further information. The Irish National Stud & Gardens are excited to launch their new interactive ‘Kick Back to Nature Tour’. Their school tour provides a unique opportunity for school children to get up close to horses and wildlife in a relaxed and natural environment. ‘The Wonder of the Horses, from foal to legend’ gives students an opportunity to learn about this fascinating industry and enjoy hours of pure freedom. Watch children interact on a 45-minute tour of a working stud farm and afterwards they’ll enjoy a fun, activity session in a classroom where they can touch and try on a range of equestrian equipment. This tour will encourage them to think about conservation, pollination and habitats required for wildlife to thrive also. For those looking for a more relaxed approach, the Irish National Stud can also provide a basic package that includes a 45 minute tour of the grounds. After the group can enjoy exploring the gardens, the fairy trail and having fun in the playground. For more information visit their website at wwww.irishnationalstud.ie. Located on Bray Seafront, is the perfect school tour venue, whatever the weather. SEA LIFE Bray is home to over 1,000 creatures in 26 spectacular displays including: Black Tip Reef Sharks, Octopus, Seahorses, Stingrays and Red-Bellied Piranhas. New for 2019, enter the amazing world of the Octopus. Discover how intelligent these wonders of the deep actually are and learn about their phenomenal skills and abilities. Whether you choose our Standard tour, or upgrade to one of our Premium packages (subject to availability), SEA LIFE provides an educational visit quite different from any other: It is interactive, informative and most of all, FUN! Fort Lucan is a fully supervised outdoor adventure playground for children aged 2-12 years. 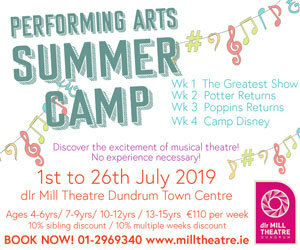 Inside Fort Lucan, kids create their own adventures as they discover huge towers, 40 foot slides, sky-high walkways, zip lines, a maze, army-style assault course & go-kart tracks. Not forgetting the Crazy Golf, the 3 famous WATERSLIDES and 15m HELTER SKELTER! We have been hosting school tours for over 20 years and have very experienced and friendly tour guides. A school tour at Greenan Maze includes an educational, active and full day outing which includes elements of heritage and local history, nature and environmental activities, and age specific tours. We believe in giving a high quality tour and therefore only host two groups per day. Tours can last from 2 ½ to 4 hours depending on your requirements. Celtic Maze: large hedge maze, very exciting, kids love it! Museums: guided tours of 3 fascinating museums; Old farm life, Traditional farmhouse and unusual Bottle museum. Wild Nature Walk and Dragonfly Ponds: tranquil nature reserve with raised walkway, ponds, woodlands and wildlife. Farm Animals: pigs, horses, donkeys, lambs, chicks and more. Field Games: welly boot throwing, wheelbarrow relays, sack racing and sheep bowling! Looking for that perfect activity for the fun part of your school tour this year? Well look no further! Leisureplex has activities for school groups of all ages, from the slides and tunnels of the Zoo soft-play area, to the striking fun of bowling and the laser-tag action of Quasar. It’s the perfect way to let off steam as the school year comes to an end! With multiple food packages available as well, Leisureplex has all the bases covered for a school tour activity jam-packed with fun. Get in touch with one of the 5 Leisureplex centres in Dublin to book today! www.leisureplex.ie. Go Kids Go! offer great value school deals with activities for all age groups. Facilities include three levels of interactive play equipment, including slides, ball pools, rope climbs, hopscotch, an indoor football/ basketball pitch, ball cannon arena with targets and foam balls, disco room, and full cafe facility. The tour is 2.5 hours long, including 90 minutes of play in the interactive adventure play frame, 30 minutes in the activity room with a leader on organised activity, and 30 minutes to eat lunch. Options available are 2.5 hour tours including play and activity; €8.50 or a 2.5 hour tour including play, activity and food for €11.50. Located only 5 minutes from the M50 at exit 6 in Blanchardstown.